When social site Wantster.com learned of Chris Brown's support of the Kids Wish Network following a backlash of media reports of locals trying to boycott Brown from headlining the Energy Rush concert series, the company decided to get involved as a major sponsor. Wantster is working with Kids Wish Network and Chris Brown to fulfill the want of a child who is battling a life threatening illness. "We wanted to check off "MEET CHRIS BROWN" from one lucky child's want list by granting them an up close and personal meeting with Brown himself and VIP access to one of the concerts taking place in Halifax, Winnipeg or Toronto", says Kathy Brewer, publicist for Wantster. 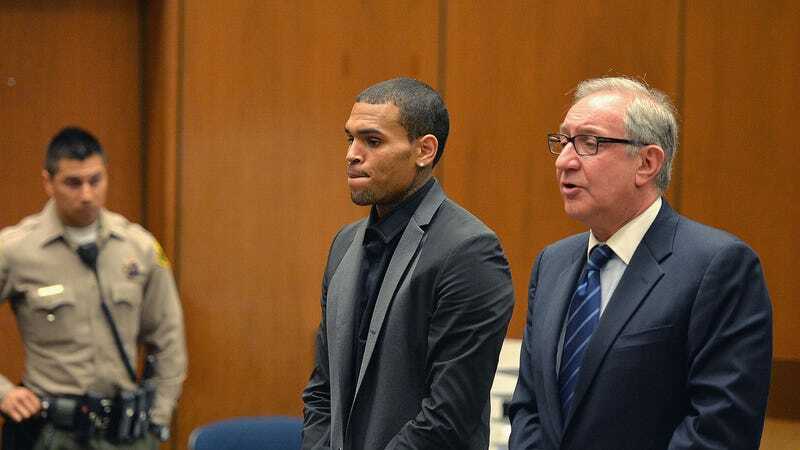 So professional failure at life Chris Brown is teaming up with Kids Wish Network. Good for him, right? That we received this pitch the day after Brown's probation was revoked for hit-and-run charges is simply poor timing. (Brown may be facing four years in prison, which we're sure is the choice destination for kids dying of cancer.) But Kids Wish Network! They must be on the up-and-up.